Autumn Gem Preview for the iPad Available Now! 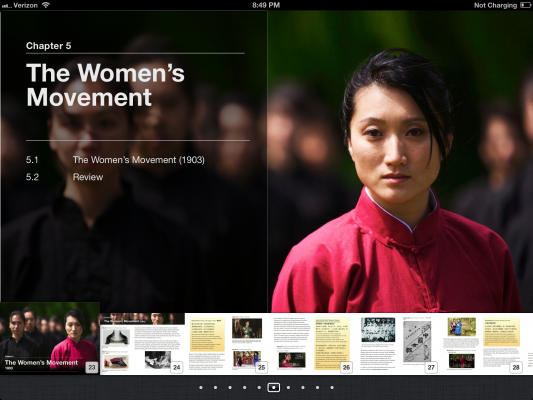 We’re pleased to announce the immediately availability of the Autumn Gem Preview application for the iPad! Using selected video clips, archival materials, and interactive features, Autumn Gem Preview introduces you to this fascinating figure through an extensive trailer of the film. On the home screen are three Chinese characters: Woman, Sword and Country. Tapping on each character will take you to a different section of Qiu Jin’s life. Learn about the oppressive conditions imposed upon women during Qiu Jin’s time and her struggle to break free of them. Follow her path from childhood as a privileged daughter of an official’s family, to a young woman forced into the traditional roles of marriage and motherhood, to her rejection of those roles and her transformation into a radical women’s rights advocate. See how she became involved in a rebellious plot to overthrow the last dynasty in China. 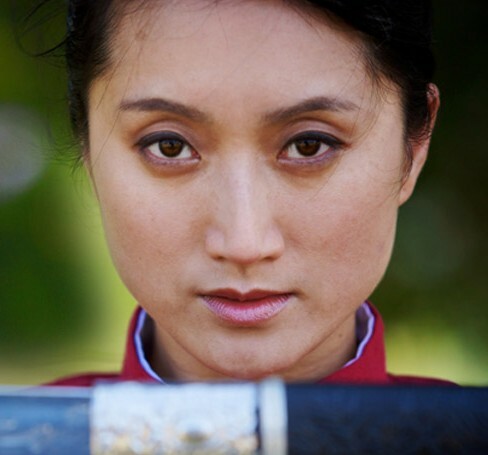 Use your fingers to control Qiu Jin as she trains in martial arts to prepare herself for battle. 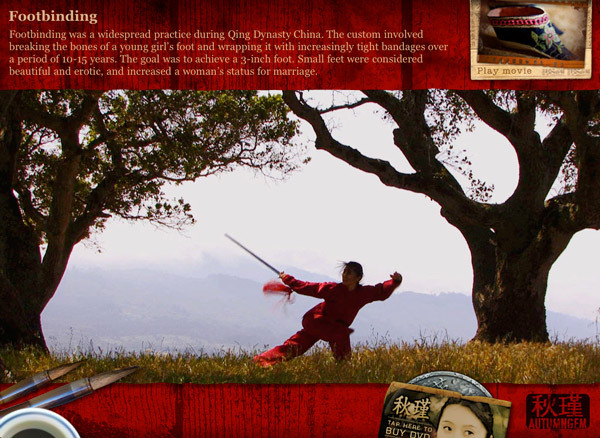 Tap to buy the Autumn Gem DVD and learn more about Qiu Jin on the official Autumn Gem web site. 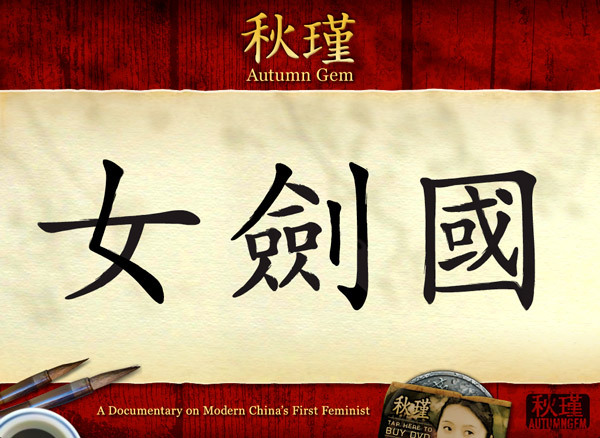 Autumn Gem Preview provides a unique experience that introduces you to the compelling story of modern China’s first feminist. You can download it from the iTunes App Store today. Note: Due to the size of the application, we recommend you download it using a WiFi connection or via iTunes.